This is our mission and the values that guide us in the development of our new collections. We have an excellent understanding of hunters’ needs. We have clear ideas about how to improve their outdoor experience. We continually select the best partners and the latest materials in order to transform our ideas into real, stylish yet performing products. 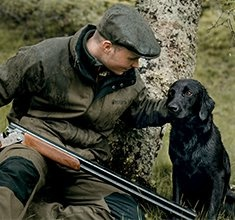 Season upon season, we bestow a complete range of garments and accessories that embody cutting-edge technology and are designed with the unique needs of the hunter very much in mind. Products developed with a simple goal: to allow you to be at one with nature, everywhere, in all weathers, and always in the utmost comfort..